We are back with part 2 of the Top Tips Blogs. 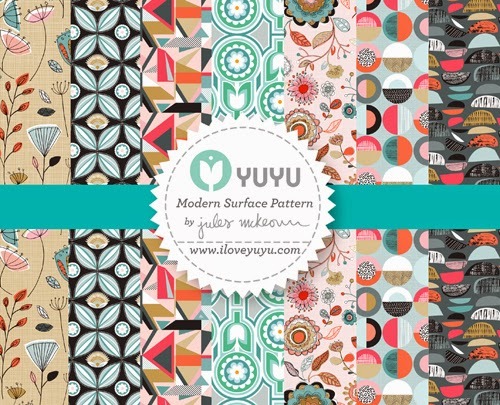 We have some truly inspiring tips from 13 amazingly talented surface pattern designers from around the globe. 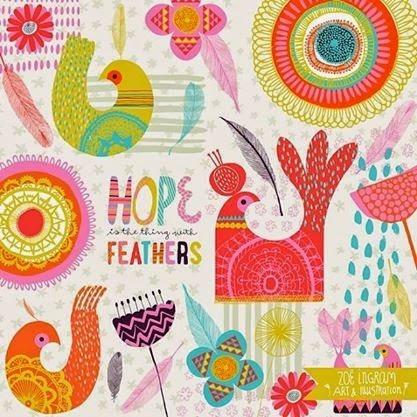 We also have the added bonus of Mary Beth Freet joining us from Pink Light Studio - Art Licensing and Design. So make sure you don't miss Mary Beths invaluable advice on getting your work licensed. "Embrace what comes out of your hand"
I know, it doesn't seem much, but just that tiny piece of advice has really given me the confidence to stride forward, head held high! Since the last blog, I've signed my first two licensing deals and I truly believe that something switched on after reading the tips. I stopped taking tiny little baby steps, constantly wondering if I was doing things right, listening too much to other people and forever questioning my work. I turned away from the negative and I started to believe in myself. I embraced what came out of my hand, which in return helped me to start taking great big, giant and confident leaps......and it seems to be working! SO..................Are YOU ready to leap? Tip 1 - Develop and then have confidence in your own design style. There are loads of well established and incredibly successful designers whose work I admire, but there is nothing to be gained from trying to make my style like theirs. They already have the market covered, and no one likes a copycat. Tip 2 - Keep on top of admin! Sometimes I feel like it takes over my life, but being organised is really important. The business side of things, such as accounts, keeping in touch with clients and updating online social platforms is a key part of the business too. Tip 3 - Go social media crazy! I’ve got some great freelance clients by being on LinkedIn and Pinterest, gained new stockists as a result of Twitter, and continue to spread the word of Jessica Hogarth Designs on Facebook. If your work isn’t relevant for a follower or contact right now, it doesn’t mean it won’t be in a few months time. Keep reminding people you are there by posting regular but thoughtful and interesting content on as many platforms as possible. Tip 4 - Speculate to accumulate. I know this is easier said than done, as we all have bills etc to pay out for. However, investing in stock, doing trade shows and sending out promotional material is all worth it. Only do what you can afford, but I have found that investing in my business early, in terms of doing trade shows and buying stock in quantities that I can make decent profit margins on, has really helped me to grow. Tip 5 - Don’t get stuck in your ways. Take in all feedback you receive and adapt your business accordingly. If buyers tell you your shipping prices are too high, then consider, can you lower them? If your notebooks aren’t selling because they aren’t in plastic wallets, start selling them in plastic wallets! The same goes for freelance work. If your colour palettes are beautiful but not commercial, consider offering some alternatives. Colour can make a huge difference to the success of a design. Tip 1- Don't give up. When I was first starting out there were 2 influential people who told me I would never have a career in design. I felt deflated for a time but then my stubbornness took over! It fuelled me to work hard and prove them wrong. Sometimes you will need to turn negativity into positive energy! Tip 2 - You also need to be prepared to work hard for a long time- it takes many years to build your client base so keep creating. Tip 3 - Get inspired, but don't copy. It's easy to look at someone else's work and want to do the same style, but it's far better to create your own. Tip 4 - Take a chance. Invest in your future. 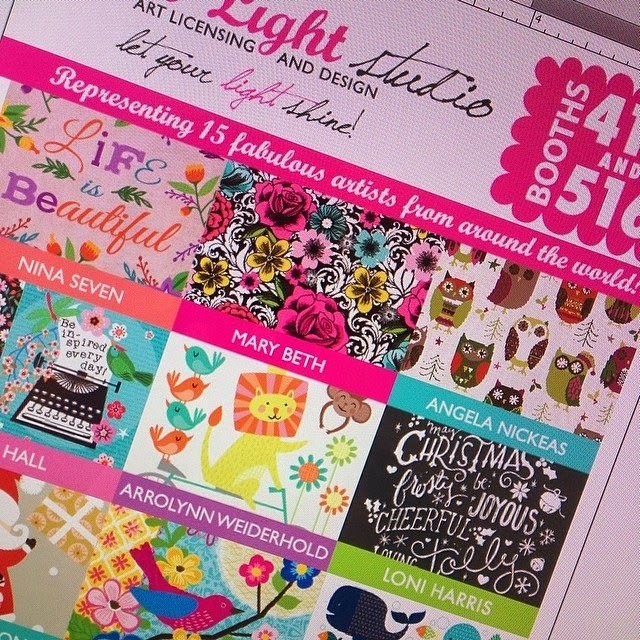 A few years ago I decided to invest some hard-earned money into exhibiting at Surtex in New York. It was such a great experience and I met so many future clients. It was worth every penny. Tip 1 - Have patience and be persistent. It takes a while to work up your portfolio and find a spot for your art in the market. Tip 2 - Have a well rounded portfolio. I always like to see artists that can do their style in a variety of themes. 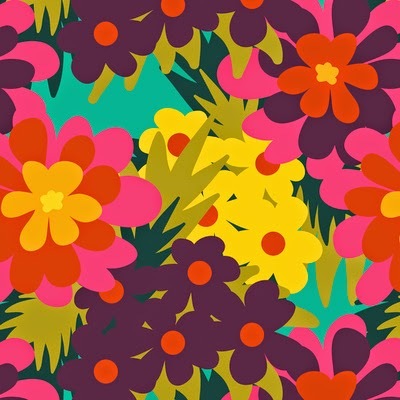 Make sure that your portfolio contains season artwork, floral designs and everyday patterns. Make sure to do what is most inspiring to you, while offering the client options. Also, the amount of artwork that you start out with is important as well. 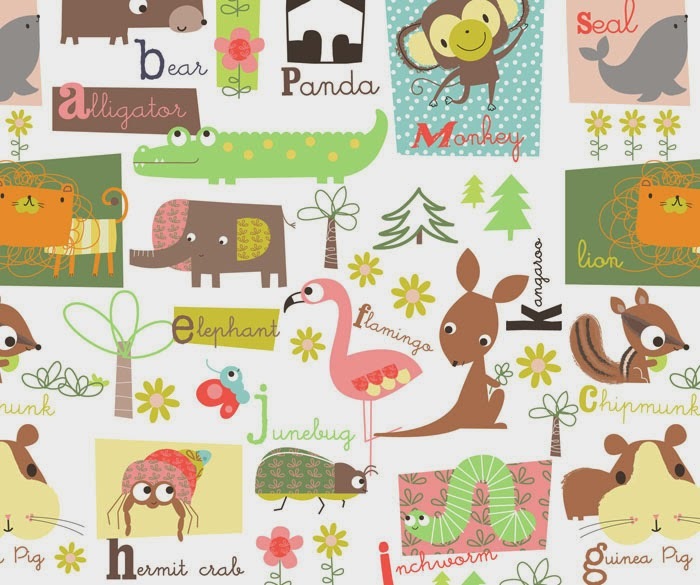 You want to be able to show potential licensees that you have a variety and depth of work. I would say to start with at least 10-15 collections. Tip 3 - Have a point of view. Our point of view at Pink Light is "Happy" artwork. We want to bring smiles to people's faces with our work. A strong point of view gives you a consistent goal and purpose which will help keep you on track. Tip 4 - Be unique. Find out what is unique about you and bring that to life through your artwork. This can be a soul searching process but definitely worth the time and will make you stand out from the crowd! Tip 5 - Have a vision for where you want your brand to go. Keep that vision in mind and don't worry about all the "how's" and "to do's" in between. Keep the vision strong in your mind and take small steps everyday to get there. Also, constantly renew that vision as your dreams start to come true. Tip 1 - Trust your gut. I'll be honest. I could never get down with the whole owl trend. First of all it is the animal trend that will never die (I was doing owls way back in my Nordstrom days). Second, they are just not my favourite thing to do by far - so, I don't. Trends come and go, and we don't have to jump on every band wagon. I think it is far more important to create work that is unique and makes you happy. This is what resonates with buyers and consumers. Tip 2 - Colour matters. The first impression a consumer has of a product in the marketplace is colour. Think about when you are in a clothing store full of racks. You are drawn to the colour first. 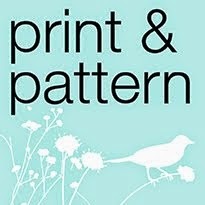 In most instances you can't see the print or cut of the garment until you investigate further. Dive into your colour palettes and understand the powerful message your colour choices can send. Tip 3 - Go outside! Travel is my biggest inspiration. It is key that we don't create in a vacuum. Go shopping. Go to the museum. Just go and see something new! It will fuel your creative fire! Tip 1 - Do a lot of research on the type of companies you want to target, the types of products they sell and the kind of art work they have on their products. Tip 2 - Finding your own style is pretty important because it will become part of your brand and people will recognise your work from your style. It can take a long time to find it so try to not be too hard on yourself during this process. Find your style by practice, practice, practise. Draw, paint or print or use digital software, whatever your methods just keep doing it - the more you do the more refined your style becomes. You learn things about how you like to work along the way. If you don’t know what your style is yet it will eventually become apparent the more you create, learning from mistakes and successes. Tip 3 - Submit your work to companies you’d like to work with. How do they know about you if you don’t show your work? Tip 4 - Find a good support network whether that’s a group of local artists or an online group where you can share information & tips, ask for advice or just have a good old moan to someone who will listen! Tip 5 - Just make a start. Don’t let fear hold you back. You might be afraid to start drawing in your sketchbook because it’s too white and untouched and what if you make a mistake. Or, you might be afraid of showing your work. Whatever your fear is, just put it aside for the 10 minutes or 2 days, however long it takes you to just start. Tip 1 - I can’t emphasise this enough – show up. Work systematically everyday on your business and over the course of time you will start to see that you have built something and it is growing. Tip 2 - Fight through the bad bits. I seem to reach a point during almost every project where I think it’s hopeless and I ought to abandon it. I know now from experience that fighting through that feeling works and when I come out the other side I always have something I like, that by being challenged I was forced to problem solve and create something new. Tip 3 - Like and trust your own taste. I like turquoise and mint green and blue. I also like lots of pretty details. I spent years trying to avoid always gravitating towards those colours, trying to avoid cluttering up my work. Then it dawned on me that it was okay. Other people like those things too. I do those things well because they make me happy. I don’t fight it any more because that’s me and my work should reflect my taste. Tip 4 - Throw yourself and your work out there – without a backward glance. Don’t deliberate, worry it’s not good enough. Get it into the world and see what comes back. Good or bad – it fuels your knowledge about yourself as a designer. Good responses are motivating and confidence building. Bad responses enable you to problem solve, find the right path. Join courses and groups, enter competitions, be active on social media. Interact and get involved with your world. 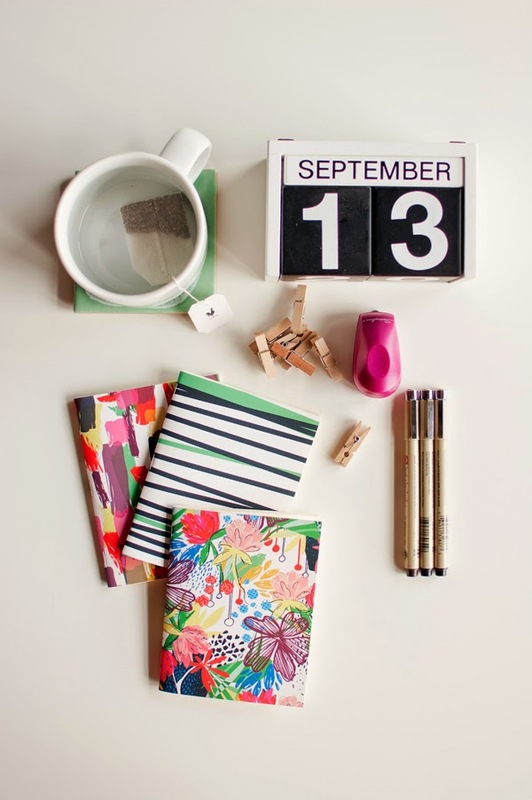 Tip 5 --Be organised. I’m naturally quite chaotic but I file and backup my work religiously, keep a client database, have accounting software, write my weekly goals nearly every Monday, keep my workspace tidy. I make myself do this because if I don’t I’ll be spending inordinate amounts of time thinking about and being distracted by boring things. I want the boring things to run smoothly in the background so I can think about pretty colours! Tip 1 - Stay TRUE to what you do. With so much social media going on over the last couple years I think we all feel the need to hop on the next trend or make art that looks current. While I agree, trends are important, good thought out work from an artist that understands their special strength is timeless. Tip 2 - Be open. This one can be hard because we all tend to numb or go on auto pilot. Be aware of where you are, what you feel, have your eyes open & translate that into your art. We all have a story to tell, let that come out in what you create. Tip 3 - Don't be afraid- be willing to reach outside your comfort zone. Take on the things that make you uncomfortable. Being out of your comfort zone can be a really good thing, it allows you to stretch & grow. If there's a format or category that really speaks to you- go after it. Tip 4 - Allow yourself time to play. I am pushing myself to embrace this idea. When we're in school we learn a variety of ways to work. Often times when we're working we lose the time to experiment. I think continuing to play in a variety of ways with your art keeps you growing in some exciting & unexpected ways. Tip 5 - Weather the storm & don't compare yourself to others. There will be ups & downs. Times when your look or style is right on the mark & then those other times it's a bit off. That's ok, styles come & go solid, strong work is always in need. Don't compare yourself to others or change what makes your style unique to you. This doesn't help you or keep your vision clear. If you are staying true to you & pushing yourself to grow people will take notice. Tip 1 - Try to sketch every day for at least half and hour. Set up a routine, put on some music you love and draw anything that comes to mind. Do not dwell on perfection. Every line has the potential to take you to interesting places. It takes thousands of hours of practice to get good at something. The great thing is that you can always refer to these sketches when you're stuck for ideas in the future. Tip 2 - Don't be afraid to draw inspiration from anything and everything. There are amazing ideas hidden everywhere. A fly on a wall, the floor you walk on, some leftovers on a plate. Just look around you and try to think outside the box. The more you do it, the better you get at it. Tip 3 - Stop working when the inspiration is gone, don't try to force it. Go out for a walk, go shopping, have coffee with a friend. The time off will reset your brain and when you come back to it the ideas will start flowing. 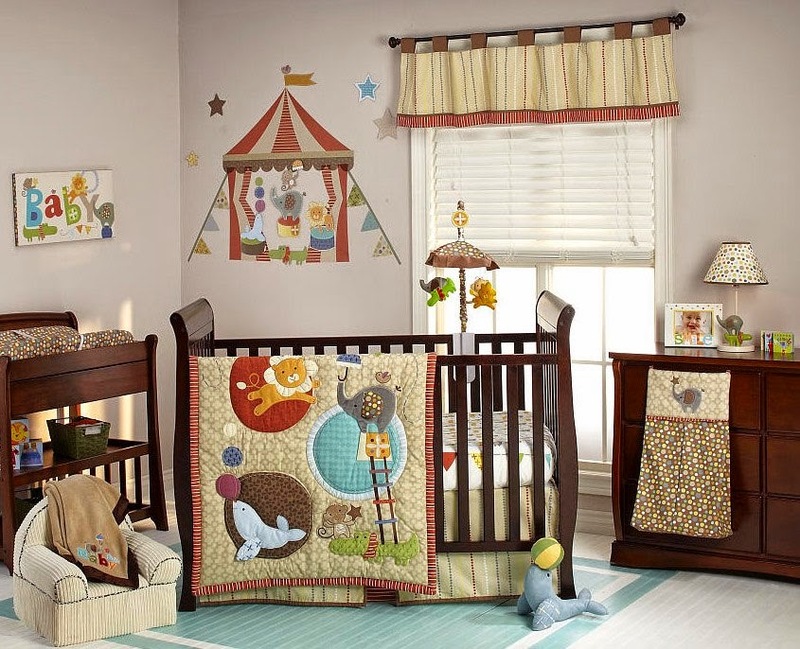 Tip 4 - Find your own design style. Design things that make you happy and that you would buy for yourself. Do not copy any other designer's visual language just because they're successful. There are customers for your style, you just need to find them. Tip 5 - Don't believe everything that people tell you (not even me!) Follow your heart and your instincts..."
Tip 1 - Start from scratch and spend time drawing/painting/playing. I try as much as possible to get inspiration from and draw real objects, so if I am drawing a leaf I will go out and find one..this helps to keep everything original and 'me'. Tip 2 - Be realistic - you can't do everything! I always want to do so many things at once but it is better to have a few fabulous designs than many that you are not quite happy with. Be patient…take small steps at a time and be kind to yourself. Tip 3 - Connect with others on social media - it's a great way to get your work out there and chat to other artists and designers. I have 'met' so many people through Instagram and Facebook and everyone is so supportive and encouraging. Tip 4 - Try not to get distracted by other people's work - easier said than done! I love looking at other designers' work but now I limit it as I am really scared of being too influenced and losing my style. There is such wonderful work out there but your work is wonderful too - concentrate on what you feel are your strengths and your work will blossom. Tip 5 - Have a good attitude! Stay positive and good things will happen and people will respond to you. Be professional at all times and try to be flexible and the rewards will come! Tip 1 - Be prepared to work hard! 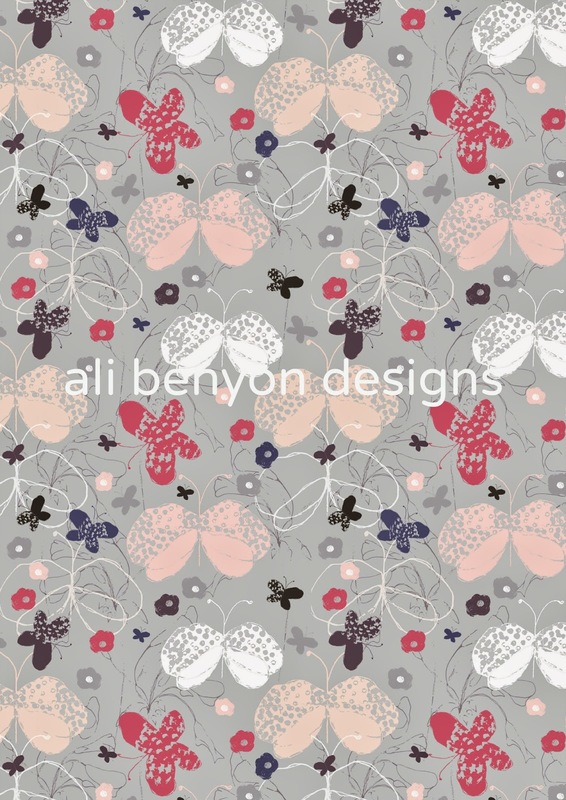 Textiles can be inspirational and fantastically rewarding (not always financially!) but you must have a passion and drive and simply put in the hours – it is not enough to be talented! A quote I love and always say to my students (I am a part-time design lecturer) is “Hard work beats talent when talent doesn't work hard”. Tip 2 - If wanting to start up your own textile business there are so many routes you can take. 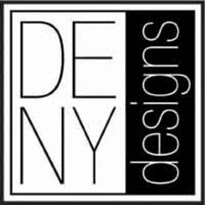 If you are more about creating products like greetings cards, stationery or interior products etc. Do your research. Visit trade shows and generally gather as much information as possible, particularly on the business side. Don’t book an expensive trade show straight away, promote your work in other and more cheaper ways first. Tip 3 - Do look into short business courses in your local area (they are often free). These will give you invaluable advice on things you don’t always think of as important like marketing, ecommerce and simple bookkeeping. Tip 4 - Find design mentors to bounce ideas around with. 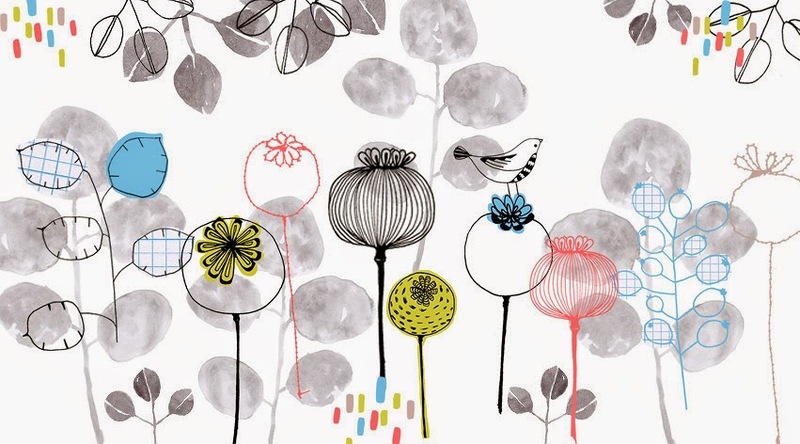 Make a network of textile friends and become a support network for each other. Social media is great for this. What I have found from doing this is that many designers are so willing to share and help each other, which is fantastic! 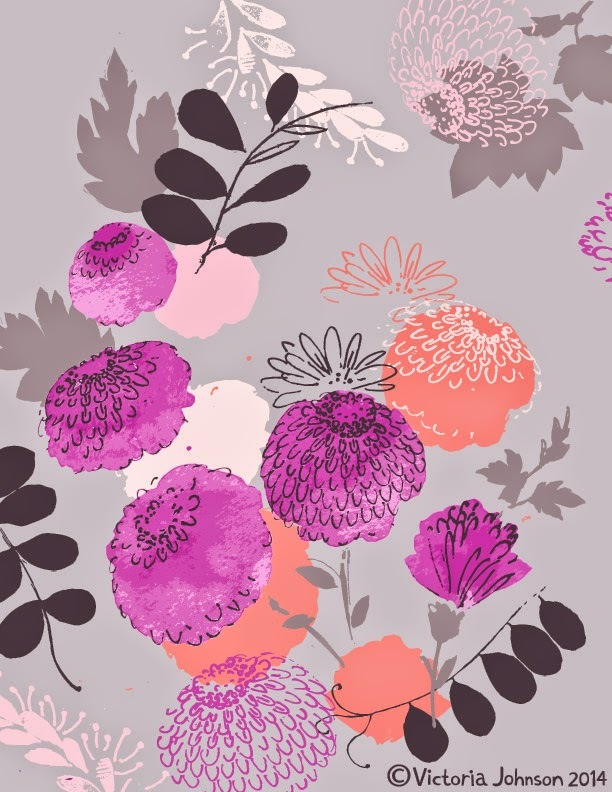 Tip 5 - Many textile designers often speak of having their own style or ‘handwriting’; although this is important; as a textile designer (particularly if you are freelance and working for a variety of different clients/briefs) it is equally important to be able to adapt and explore new methods of working. Try new things, techniques and explore ways of using media – that is when the unexpected will happen! Don’t be afraid to take risks. Tip 6 - Get your work out there through your own website, blog features and sending out exciting press releases to magazines. Use social media as much as possible to promote any new work. Tip 7 - Finally, write down your goals and think big! Go for it! If your dream is to work in New York or get your 1st licensing deal with a certain brand you love – commit yourself to achieving it. You will be amazed at what will start to happen when you set your mind to it! 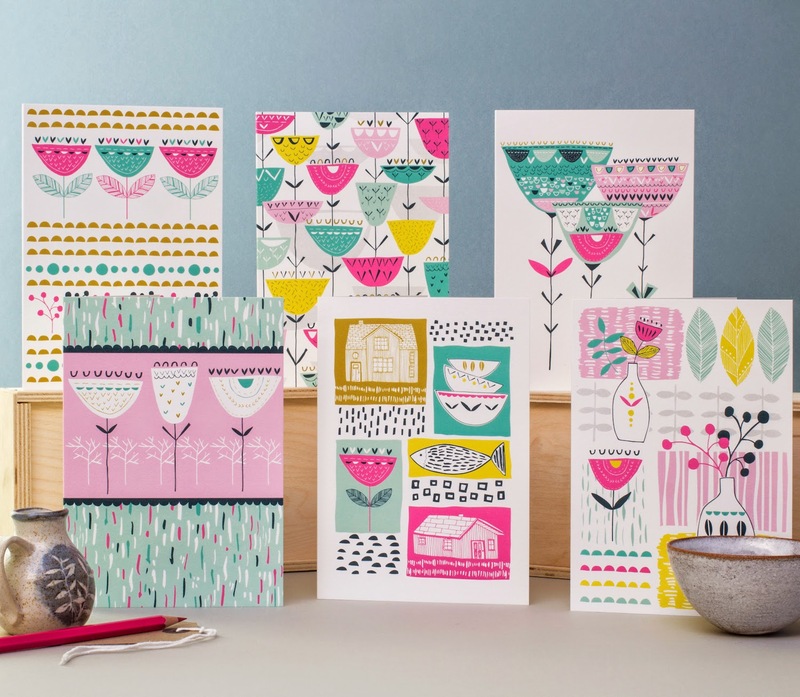 Jess Hogarth and I have set ourselves a goal to have a stand together at Surtex 2016! Tip 1 - Finding a healthy balance between work, home and self continues to be a challenge, but I'm able to make it work 95% of the time through meticulous scheduling and a fair amount of caffeine. Happiness fuels productivity, and a sizable, varied portfolio with rhythm is what clients & agents want to see. Tip 2 - Getting in "the zone" is a huge part of my creative process. My ritual begins with tidying up my workspace, turning on some music, and settling in with a cup of tea to browse my favorite sites for inspiration & trend alerts before getting to work. Finding my happy place was huge for me, and it began to show in my work. Lilla Rogers said it best: "people buy your joy"! Tip 4 - Confidence in myself as an artist was something I had to cultivate over time and has proven to be a critical tool. Like many other artistic types, I'm my own worst critic and often don't realize when I have something great. I've even been known to pick my designs apart while staring at them on a store shelf! My self confidence was forged through many years of trying my hand at different areas of design and learning a wide range of valuable technical skills in the process. Learning to trust my own eye was a big step forward. Tip 5 - Finally, I think I am where I am today because I was willing to learn from my mistakes and try again, harder and with more passion. When I think I'm finished with a piece or collection, I'll walk away for a few hours, sometimes a few days, and then take another look. 9 times out of 10 I'll see room for improvement, taking it from good to great. Tip 1 - Put yourself out there: Both with submissions and sharing your work online. How can anyone know they want to work with you if they don’t know you’re there? But don’t beat yourself up if you’re rejected, or if you make a mistake. Be grateful you will know for next time! Tip 2 - Create what feels right to you and don’t worry what everyone else is doing. Do whatever feels right and go for it. Do what makes you happy and most creative as your best work will come when you are happy and enjoying what you are doing! Create as much art as possible, try different styles and techniques until you find your “style”. You will know when you’ve found it and all your work starts to look cohesive. *Absorb everything you can! Read blogs, go to shops, take in nature, look around you! You never know how this will all develop in your mind and create wonderful ideas! Tip 4 - Don’t forget to take time out. If you can’t seem to get a design right, take some time out from it, don’t look at it for a few days, go out and get inspired and refreshed and then come back to it, you’ll be amazed what a difference it can make. Always go out and get some fresh air and inspiration when you’re feeling stuck and don’t forget to spend time with friends, see new things, new places, experience new things, the more inspired you are the more creative you will become! Tip 1 - Never stop learning ~ experiment with new techniques, try different mediums and make marks. Try to learn a new trick everyday and don't forget to ask lots of questions along the way. Tip 2 - Ask and you shall receive ~ Give people the opportunity to say YES to your work. Of course, you may get a few NO's along the way, but know that there is someone out there just waiting to discover you. Put yourself out there! Tip 3 Connect ~ Collaborate ~ Community - Share and learn from others. Have fun working! Tip 4 - Practice ~ Patience ~ Perseverance - this is my motto and one I come back to almost daily. Stay positive and know that your time will come. I just want to say a massive, massive thank you to all the designers that have taken time out of their busy schedules to share their tips with us. Both in parts 1 and 2 of the blogs. It's so lovely to work in an industry with such talented and supportive people. 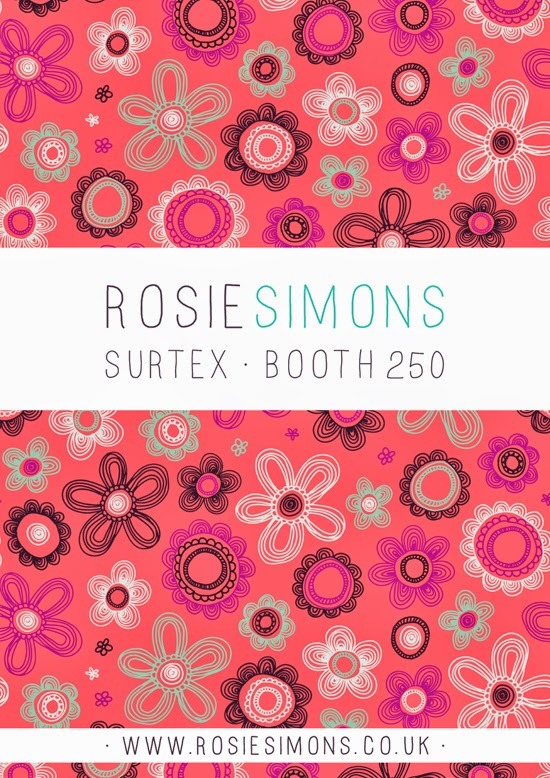 Finally, good luck to all those that are heading off to Surtex next month! I hope all goes well for you all! Thank you Ali for putting this together. It's so inspiring and encouraging! I feel like reading it again and again! Inspiring tips, Ali, and a wonderful post again. Thanks. Love this from Veronica Galbraith "Every line has the potential to take you to interesting places." 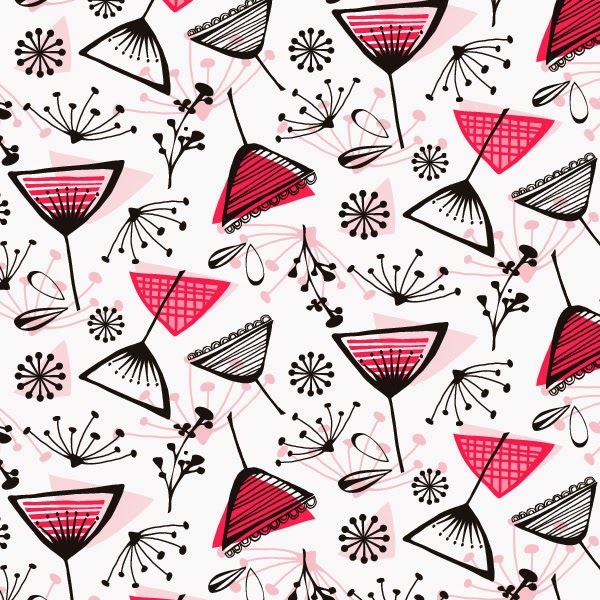 Read both your articles on Surface Pattern Designers Top Tips. Thanks for compiling and sharing them. Got them bookmarked so I can revisit these great advices again and again. All fantastic. Loved looking at all the great and inspirational work. Very motivating. SO helpful, thanks for the fantastic advice! Thanks a lot. Really enjoyed. 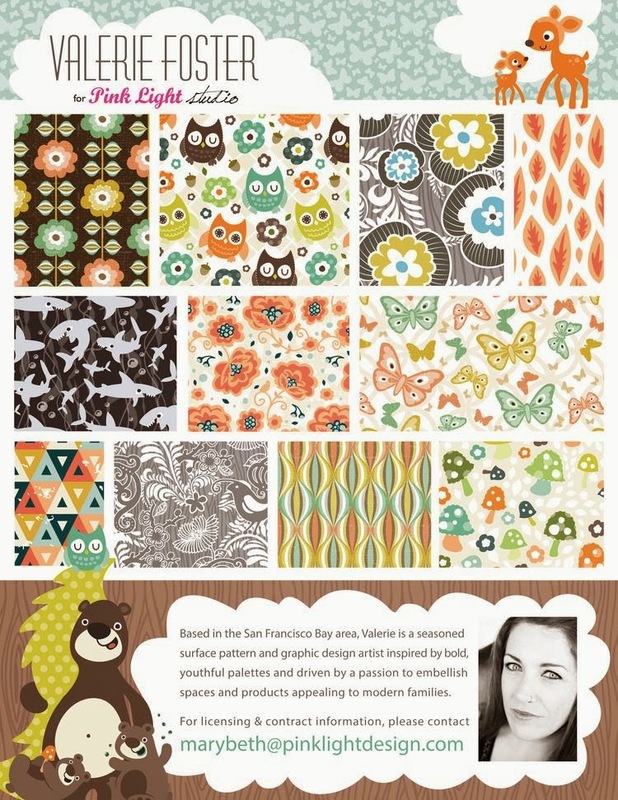 Thanks for sharing this compilation of wonderful advice from the other designers, Ali! Aspiring designers will surely find this inspiring, and hopefully encourage them to continue on working at their designs and visions, so that they continue to thrive. And if I may add, it is also a matter of self-exploration. Just continue what you want to do, don't be afraid to experiment a bit, and always think out of the box. All the best! Thanks for sharing the design info here. Keep up the good work. All the best. I stopped taking tiny little baby steps, constantly wondering if I was doing things right, listening too much to other people and forever questioning my work. I turned away from the negative and I started to believe in myself. A diffrent kind of design i can see in the blog... thanks for sharing.